Born 1960 he grew up in Kreuzlingen Switzerland. Playing music since the age of 10 he started studying seriously at the Jazz Schools in Bern and St Gallen at the age of 20. 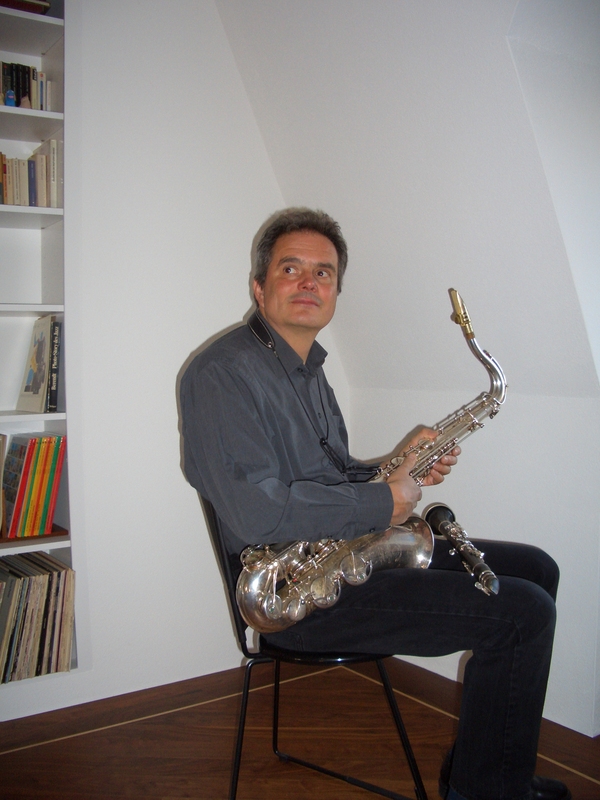 In 1993 he participated at the Festival Augst with his quintet and won the price for the best "coming up" band. This award led to such important engagements like the Montreux Jazz Festival, the Open Air St Gallen and a lot of gigs in Switzerland and the nearby countries. In 1984 he moved to New York for 6 months to study with Ralph Lalama, at that time member of the Mel Lewis Big Band. Afterwards he worked as a music teacher in St Gallen Switzerland an founded a new Quintet with the guitarist Peter Eigenmann. In 1989 he lived in Mexico, where he played with local musicians. When he came back, he moved to Madrid. At this time the Spanish Capital was one of the most exciting city’s in Europe. He played with Abdul Malik, Dan Rochlis and Miguel Chastang. After that he went back to Zurich Switzerland. Since 1994 he lives as a working musician in Paris where he plays with Stéphane and Jo Maurage, Patrick Villanueva, George Brown and William Chabbey. 1999 he founded his own quartet in Paris and recorded the CD "DexMex". With this band he toured extensively in France, Switzerland and Germany. In 2004 his second CD was released by the Label Altrisuoni. He spent six monts in Brasil and played with numerous musicians.